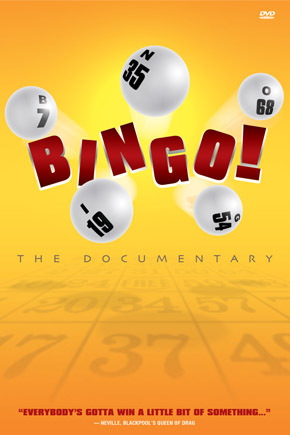 Filmmaker John Jeffcoat takes a humorous look at all that is Bingo, from welfare recipients to drag queens and the Catholic church. Shot in Europe and the US, the film reveals that thriving below the gloss of American kitsch is an unexpected subculture of eccentric individuals. 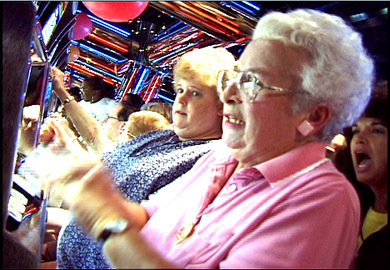 Jeffcoat explores the problems facing an aging population, gambling, loneliness, and the art of lady luck. John Jeffcoat is the founder of Jeffcoat Films; a Seattle based film and video production company. Since graduating from Denison University in 1994, John Jeffcoat has worked in the film industry as a writer, director, producer, cinematographer, and editor. In the past few years he has spoke on panels at film festivals (Including the Seattle International Film Festivals "Filmmakers Forum") about the future of digital editing, affordable technology and the process of transferring video to film. Bingo! the documentary marks his debut as a feature film director. Jeffcoat has won awards from the likes of Matt Groening (Creator of "The Simpsons") and was voted Seattle's best filmmaker in 2000 by Citysearch.com. The former vice-president of the Northwest Film and founder of one of Seattles first microcinemas "Films from Here" at the Alibi Room, Jeffcoat has long since been a supporter of the independent film scene in Seattle. Currently Mr. Jeffcoat is in pre-production for a feature length documentary on the world's largest film industry in Bombay, India "Bollywood".